During a recent presentation, I asked participants to write the top five qualities of a great supervisor on sticky notes. One quality per note. I asked, “How many have honesty.” Nearly everyone in the room raised their hand. They gathered their honesty-related sticky notes and attached them to the outline of a supervisor in the front of the room. Communication, listening, compassion, and honesty seemed to top the list. I asked the managers and supervisors in the room to record their thoughts on the top qualities of a supervisor, but to keep them. Toward the end of the exercise, I asked the supervisors/managers if their lists line up with the organization as a whole? What do you have that’s different? One person said, “Sets expectations.” I hadn’t heard that one from the larger group so I asked, “Who has ‘sets expectations’ on their top five list? Not a single person raised their hand. Gaps are opportunities for conversation. Connected organizations grow. Isolated organizations fall apart. The difference is conversation over coercion. How do we want to be with each other? What behaviors take us there? What matters now, with this gap in mind? What assumptions do we have about “setting expectations”? What do expectation gaps say about us? What dangers might need to be considered, when organizations play in the gap? How might organizations successfully play in the gap? It would have been more useful to ask for behaviors of great managers, not qualities. The next time I do this, I’ll ask participants to think of a quality and distill it into a behavior. Dan, I love your posts. So many times, like the NYC Lexington Avenue line 4 or 5, they are so frequent, that they always appear (at least for me) on time. This post is one such “Train of Thought.” It’s arrival is clearly on-time for me. What I especially liked was the title: Playing in the Gap. In this particular season of life, I began to see the God of the Gaps. The spaces. The needs. The losses. He is not just a God obsessed with winning. But He is a winning God. TY Dan for arriving on-time, again. 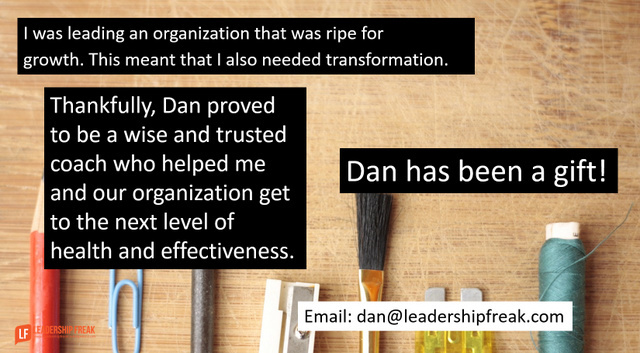 Thanks Dan — clients seem to nearly always state honesty and integrity as the #1 desired trait of a leader (Mrs Clinton will likely be the President on the US 🙂 … however the trait that individuals actually gravitate towards in a leader when the rubber hits the road is “Clarity” … in reality People want to know what is expected of them, they want to be connected with authentically and motivated towards a crystal clear direction that the leader drives at relentlessly … If we can assist our leaders to embody honesty and clarity – WOW — then you have a winning combination … keep on sharing !! Among the people I have worked with, the most-desired trait was that your leader will “have your back” when you have made the best possible efforts and things have still gone wrong. Perfect timing. I’m giving a presentation in 2 hours on “leadership challenges” at a training conference I’m attending. I have a slide that lists 10 good leadership traits that is shown after attendee input. I am going to verbally add “sets expectations” to the list. That is a good one and needs to be included. Thanks, Dan. I’m not sure how “sets expectations” could ever be left out of the conversation for a leader of a group or even for the output of a work team. Yet, it generally is the most poorly defined element Unless you(the leader and the employee) can give your picture of what things will look like when you cross the finish line, you never can get there. When working with individuals on their growth, it may be hard for them to set concrete and measurable goals. That conversation needs to be a constant one in order to refine, define and reassess along the way. Expectations will change as you and your manager move through time and circumstances. Keeping the communication open will mean that when you’ve hit “the end” of the measurement, you also have kept the outcome fresh and pertinent to the current situation. Another great post. Thank you, Dan. Leaders at all levels in an organization should be thinking about this. Young leaders that practice “playing in the gap” early on in their careers, will grow into leaders that can thrive down the road and will be respected by their team. One caveat, a leader has to create the environment for these conversations to happen in an honest, respectful and open way. Being a lone leader trying to have these types of conversation in a culture where there is little trust can feel like climbing Mt. Everest. I enjoy your content and it can help so many teams see greater sales and profit growth. The key building block is trust. A simple concept: Trust, but critical factor for any team to achieve profitable growth. I just posted an article today about why companies see sales growth stalls. As I discuss large and small companies alike experience growth stalls. However the teams that use that adversity and have strong cultures built on a foundation of trust are not afraid to throw the skunk on the table and discuss mistakes. The quicker you identify them the faster you can get back on a solid growth path.